Hello! 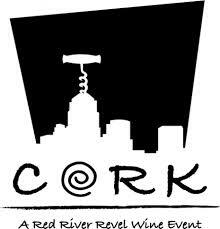 Professor Porkchop and the Dishes will be playing this Saturday at CORK: Red River Wine Event. SATURDAY APRIL 5, 2014 · 2 P.M. – 5 P.M.
Only 1,600 Tickets Will Be Sold! Individual Tickets: $85 / Rain or Shine! Over 80 wines from around the world. Delicious samplings of signature dishes from the area’s finest restaurants. Help us spread the word so we can have a great crowd and support the Red River Revel. We’ll also have copies of our latest album U R My Everything for sale – so come on out. Posted on January 7, 2014, in Uncategorized. Bookmark the permalink. Leave a comment.